Crapness takes a round full of fast cars...and one with a unique engine swap in the 2 vs. 15 seeds. Simon Says, campaigner of Acura Integras, did something that few teams can say they've done: They finished on the podium in their first race. Then they finished on the podium in their second race. And their third and fourth races. After that, they secured their first win at Virginia International Raceway. A rough day at Road Atlanta in December 2012 spoiled their perfect record, but this Integra team presses the buttons in the right order, apparently. 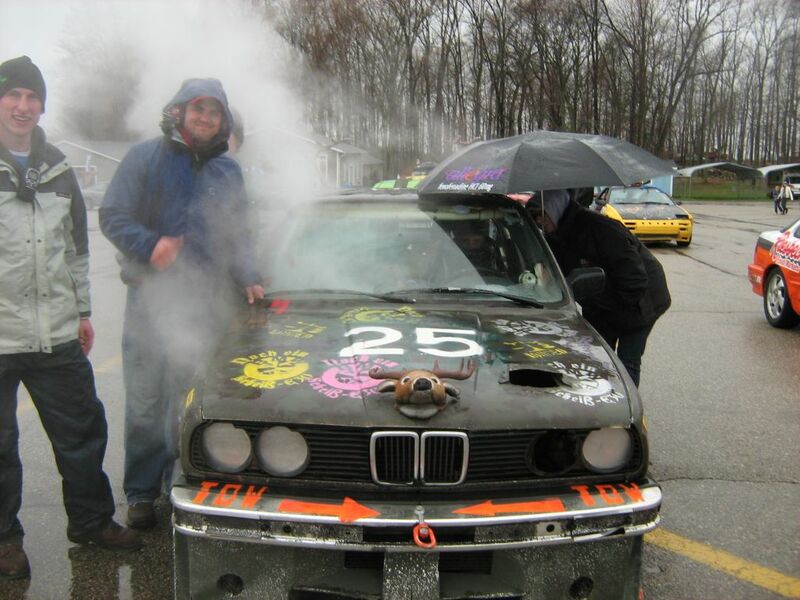 Michigan's Bucksnort Racing was best known as a black-flag magnet at its early LeMons races, but after a few races of sorting the car and the team out, their E30 is a force to be reckoned with in the Midwest, particularly if the track stays dry (adverse weather does strange things to this car). 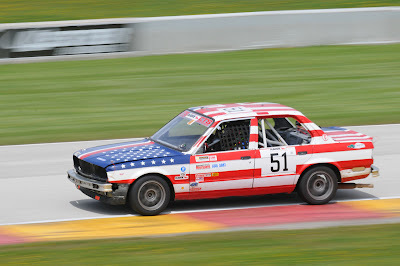 They consistently set the fastest lap at Midwest races and came up just a hair short of an overall win several times before finally snagged their first win at Gingerman in April 2012 by dominating the rest of the region's top contenders. Race Hard Race Ugly were maybe the paragon of E30-dom in LeMons in 2009 and 2010, campaigning a pair of Bimmers that regularly finished near the top of the heaps in a region filled with varied, tough-as-nail competition. 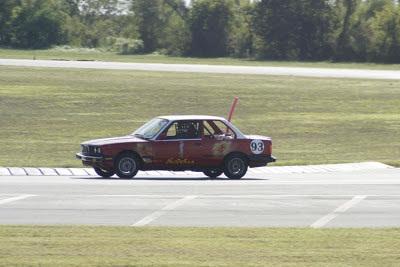 Perhaps most significant is that Race Hard Race Ugly was the first E30 to take home an overall win in the 19th LeMons race, nearly three years after the series' first race. 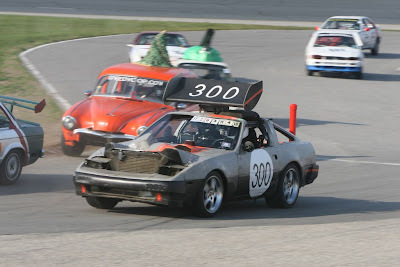 In 2012, Cerveza Racing accomplished something that only Hong Norrth had done previously in LeMons: Won three consecutive races they entered. Unlike Hong Norrth, Cerveza campaigns their BMW E28 in the much-more-top-heavy West Region. In the only California race they didn't win in 2012, they finished runner-up to Eyesore Racing. In just seven races, Cerveza has cemented themselves among the elite crapcan teams while running the "most interesting car in the world." Eggboy and their Ford Taurus SHO remain a staple of the ChumpCar community, particularly in the Midwest, where they've enjoyed success among the cavalcade of rear-drive Bavarians. 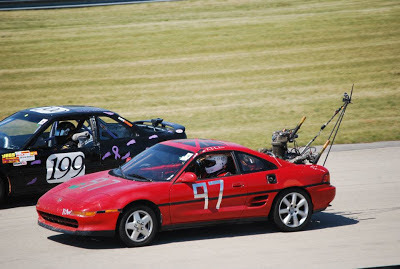 The SHO has a much-deserved reputation for fickleness in the face of endurance racing's torture, but the St. Louis Eggboy crew have piloted theirs to two victories, including one over a very fast field at Iowa Speedway in April 2011. 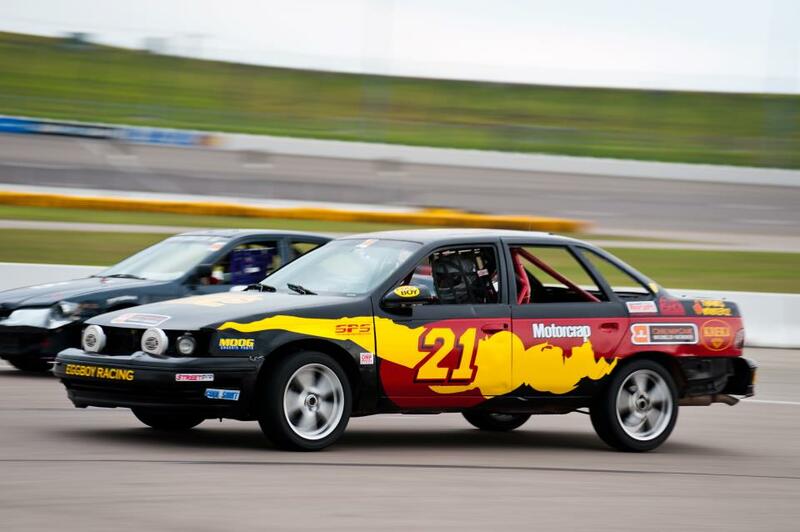 British American Racing is one of two BMWs to expect on any Midwest podium, alongside the Tubby Butterman E36. BAR, however, does it with an older E30, decked out in a terrific half-Union Jack, half-Stars and Bars livery...on a German car. 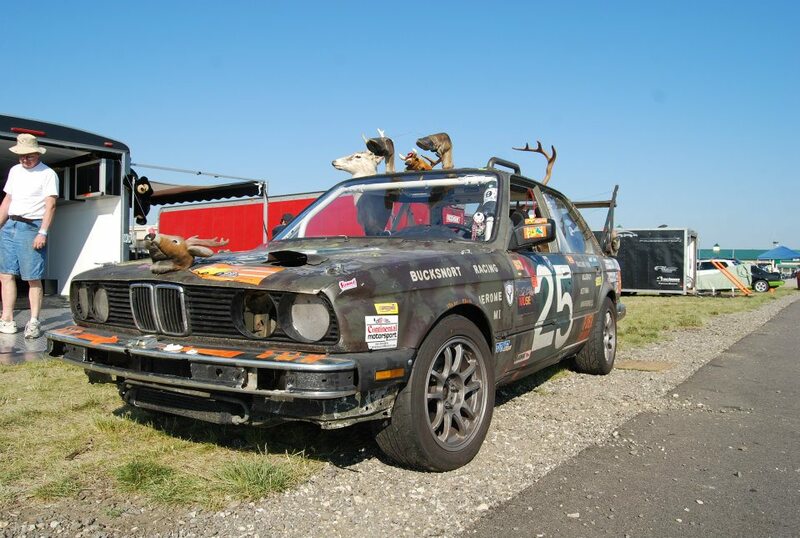 It makes as much sense as any other aspect of crapcan racing. Personally, we'd love to see the BAR E30 pitted against the old Formula 1 BAR car in a normal-distance F1 race. We're no bookies, but we're pretty sure the smart money would be on the Bavarian-built machine. Marc Labranche stuffed a World War II-era airplane engine into a second-generation Toyota MR2. The build thread for this project literally takes about four hours to read and makes us scratch our collective heads several times throughout. There is no way any other crapcan has anywhere approaching this amount of custom fabrication. Next up for Marc: A turbine-powered Chevy Nova, naturally. Two teams have run under the 'Rust in the Wind' moniker, but we're concerned with the East Coast version, who perplexed tuner fanbois by replacing their Nissan 300ZX drivetrain for a turbo Saab motor, essentially swapping one problematic drivetrain for another. 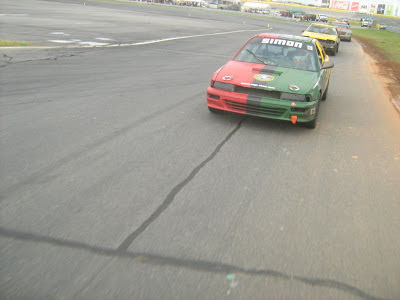 After some teething troubles, the NisSaab took home a win on laps at New Hampshire Motor Speedway in October 2012.